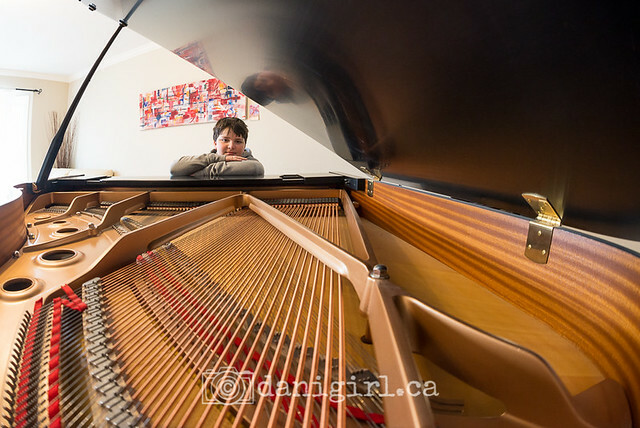 Simon had the opportunity to take his weekly music lesson on the grand piano at the Manotick School of Music yesterday, and I thought it would be fun to get a photo or two. I’d just picked up a second-hand fish-eye lens and thought it would be a fun place to take it for a test drive. 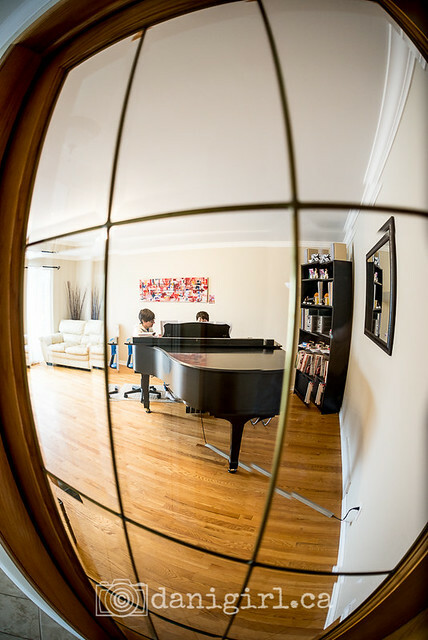 A fish-eye lens has an extremely short focal length, which gives it a very distinctive distortion, making things at the centre seem to bow inwards, especially if you are particularly close to them. 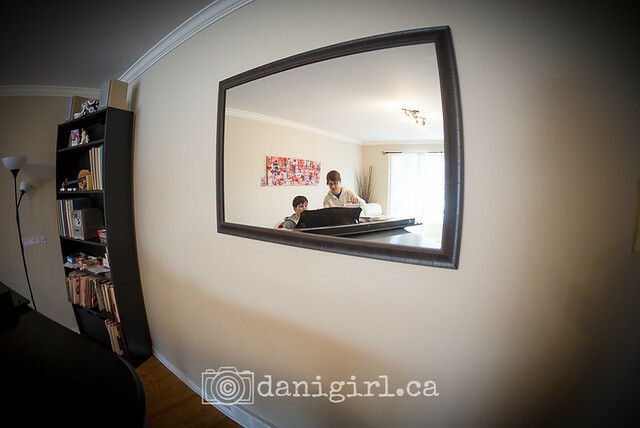 I pulled the fish-eye off to capture this quick portrait of Manotick School of Music director Lisa. She was showing us that you have to water high end pianos in a manner not dissimilar to how you water your natural Christmas trees. 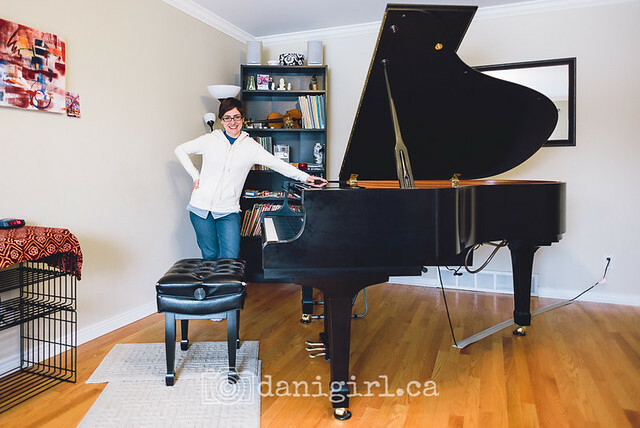 All the years I’ve had music in my life and I had no idea – then again, I haven’t spent a lot of time around grand pianos, either. And by the way, she is an incredibly nice lady! And then I took a few more fun shots, just to explore the artsy possibilities of the fish-eye. I think it’s going to be a fun new toy to play with. Can’t wait to see what it does to a PEI beach landscape! And Simon loved the chance to play such a beautiful instrument. 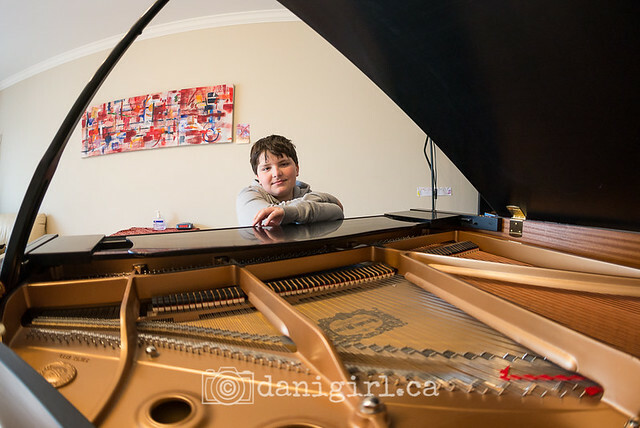 Disclosure: Manotick School of Music is one of my wonderful bloggy sponsors, but I’d have shared these and effused at Lisa’s sweet nature regardless. 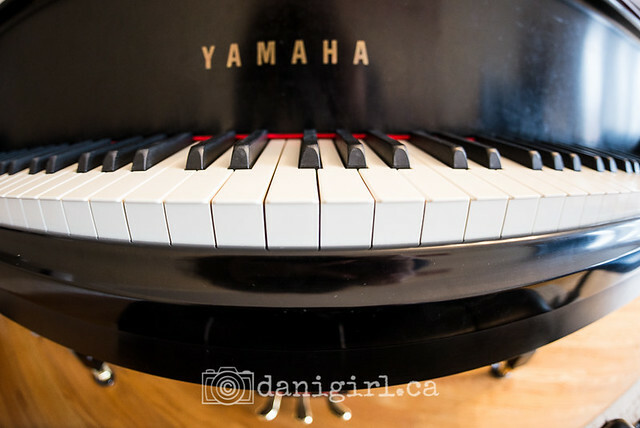 If you’re interested in lessons on the grand piano in Lisa’s studio, see her Musical Thought site or the Manotick School of Music site for additional information. Previous post: Eight ideas for awesome Ottawa March break family fun!